Autumn can be a scary time for your furry companions. Loud bangs, inedible sweets and people dressing up in scary costumes don't make for dog-friendly environments. Some dogs don’t mind the whizz and bangs of fireworks, whilst others disappear behind the sofa and take weeks to get over the stress. But don’t fear; here are TastyBone’s tips, tricks, and treats to lessen the shock for your pets. 1. 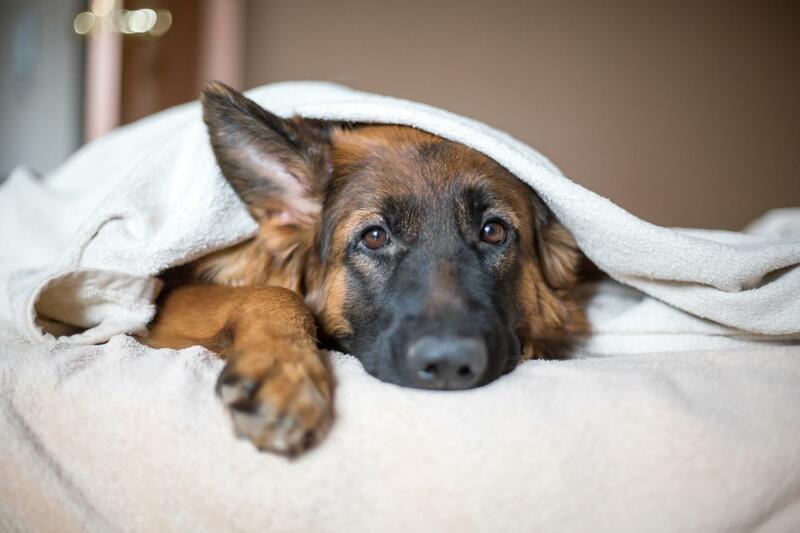 Keep them as calm as possible - Create a safe space for your pooch within the home. This could be their favourite room or an area with the least visitors. Keep their favourite toy, blanket and Nylon TastyBone to hand, as these familiar items will help to keep your dog calm and occupied. 2. Don’t pressure your pet into a costume – Even though they can look super cute in a Halloween costume, some animals don’t like wearing them as much as we do! It can be a scary experience, so don’t force them, as they may become stressed. 3. Keep doors and curtains shut – Closing blinds and shutting doors can help to reduce noise and flashes from nearby firework displays. Try playing competing noise from the TV or radio to help muffle the startling sounds. When holding autumn parties, it is also advised to keep your dog in a room separate from the entrance to avoid any great-escape attempts. 4. Clean it up – With lots of Halloween treats and party food around, it’s important to clear away rubbish that can be poisonous to your four-legged friends. Ensure the garden is free from firework debris before your pet play outside to avoid any unwanted trips to the vets. 5. Walk your pet before dark – taking your dog for a long walk before the evening festivities will ensure that your pooch remains happy, safe and relaxed. Exercising your pet is also a great way to produce endorphins, making them naturally calmer. Don’t forget to share your pet safety tips with us on Facebook, Twitter and Instagram.